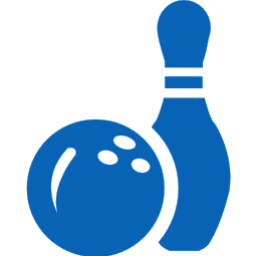 Join the ACLD Foundation for the 4th Annual Bowling for an Enviable Life event. Children and adults from ACLD’s programs, their families, friends and staff come together for a fun day of bowling while raising awareness and funds to benefit ACLD. This event is limited to the first 300 bowlers. Rubber soled shoes can be worn in place of bowling shoes if necessary. Awards given for Individual Highest Score and Team Highest Score, Most Strikes and Most Spares. Le Selfie Photo Booth available. • The Anchor (Event Sponsor) $5,000 SOLD – Includes branding alongside ACLD as main sponsor, three lanes for 3 teams of bowlers (max 18 pp), name/logo printed on custom vinyl banner over lanes, name/logo co-branded on event t-shirt, and name recognition across ACLD social media platforms throughout the event publicity. • Spare! (Photography Sponsor) $300 – Includes logo on dedicated sign by photography area.